I am honoured to be able to work with such amazing couples and thrilled to be a part of your wedding! I am so grateful to work alongside you to show off your love story for your family and friends. "I cannot speak more highly of Maddie from MH Weddings. I truly believe this was the best vendor choice of my day! Immediately after our first phone call I knew Maddie was someone I wanted to work with on our wedding day. She was organized, paid attention to all the small details, and is passionate about the work she provides. Throughout our planning process Maddie went above and beyond to ensure that our big day was exactly what we envisioned. Maddie asked questions about the small details, was an expert at putting together the day of schedule and ensured that everything we wanted on our wedding day was in place. I felt confident that everything was going to be flawless on our wedding day – and of course it was! Thanks to Maddie my husband and I were able to enjoy the special day with our family and friends, and did not have to worry about a single detail. I am so thankful to have worked with Maddie as she ensured our wedding day was a dream come true! Thank you!" 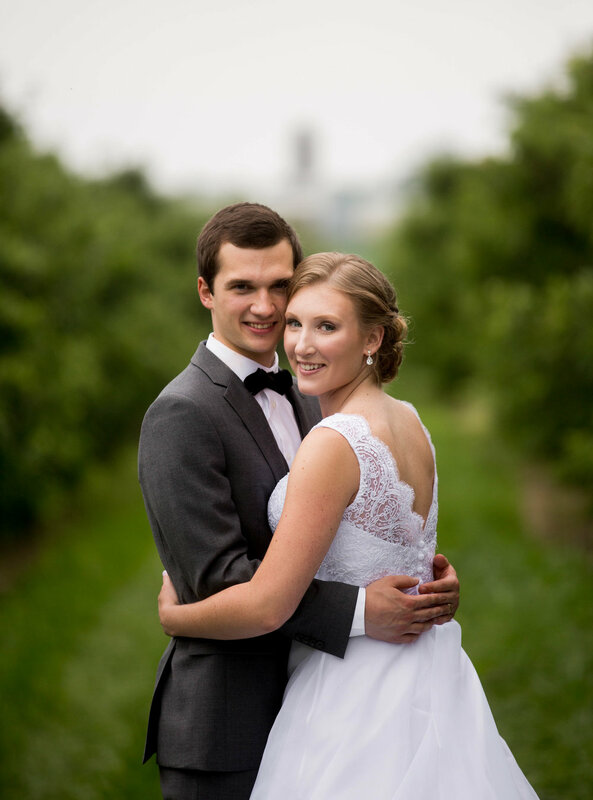 "Out of all of our wedding expenses, Maddie was the #1 best use of funds! Without her there to help coordinate our big day we truly do not believe our vision would have been accomplished. She made sure, from Day 1, that everything we wanted done, happened, and if it couldn’t happen… she made sure to make the best situation out of what we had, and kept Mike and I happy. Planning a wedding is a major stress, and planning a wedding out of town is even more of a stress, as soon as Maddie came on board she made a lot of that stress just melt away. As a bride, I felt like I had a million great ideas, and planned all the small details out really well, but still had a hard time seeing everything coming together and running smoothly. Maddie took care of all of this, she made sure that everything I had planned happened and ran on time. After a 3 hour FaceTime call, I knew everything I had spent a year organizing was all going to come together and be amazing because of Maddie. We truly appreciated how Maddie understood exactly what we wanted and had planned, and was 100% honest with us wither or not our ideas made sense... or would even work." “There are not words to describe how amazing Maddie is! She is one of the most caring, warm, friendly and organized people I know. Hiring Maddie as my month of coordinator was one of the best decisions I made as a bride-to-be. Throughout our planning process Maddie went above and beyond to ensure that our big day was exactly what we envisioned. On the day of the wedding she made sure everything went smoothly! We did not deal with a single issue all day. Maddie is truly the best and I would recommend her to anyone without a second thought. "Hiring Maddie as my wedding coordinator was one of the best decisions I made as a bride-to-be. After each meeting I felt relaxed and oh so excited for my big day! I knew with Maddie’s help it would be all that I dreamed it to be, and I wouldn’t have to worry about any of the details on the day of. Just knowing that it was her job to know what was supposed to be happening at each moment of the day and make it happen (including behind the scenes) was a huge comfort and stress reliever. Not to mention all the hours she saved me writing lists and schedules! Thanks Maddie!" “Maddie was an amazing support for our wedding. Her experience and advice was very helpful when planning in advance. 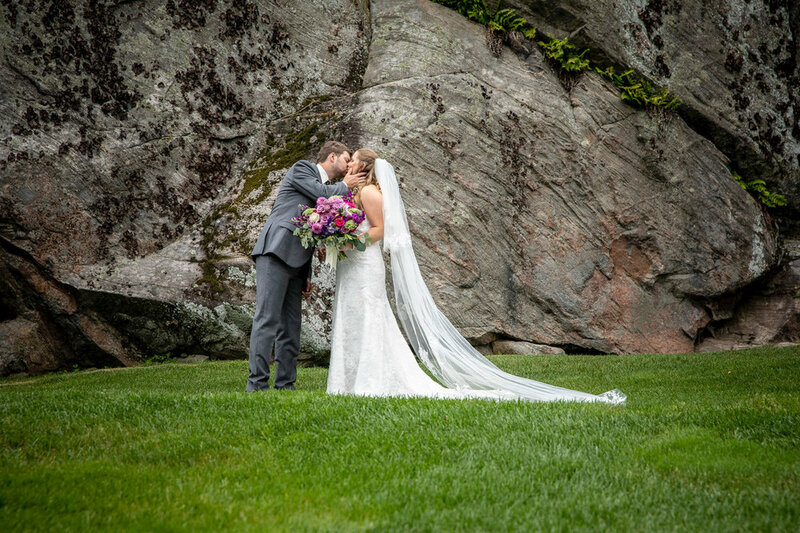 We were confident that everything would run smoothly with Maddie taking care of the many details, and were able to just relax and enjoy our special day!" "Maddie was such an important part of our perfect day! Her guidance during our preparation helped us make the big decisions with confidence and in the weeks right before our wedding she took care of all the details. On the day of the wedding she made sure everything went smoothly! We did not deal with a single issue all day. Our wedding was stress free and truly the best day of our life. Maddie was the one that made that happen!" "Maddie was a true blessing for our wedding. She helped support me along the way with planning and finalizing details. Maddie made me feel at ease. As a control-freak, this can be a difficult task to do. We had a wonderful, smooth wedding and could truly enjoy the day. Hiring Maddie was one of the best decisions we made." "Matt and I wanted our winter wedding to feel whimsical and friendly. Having Madeline coordinate how the day went made everything fit perfectly into place. We had no worries about timing or our guests enjoying themselves. The meal was served hot and everyone enjoyed their time. As a bride I felt like I had nothing to worry about during the day and when we left the reception everything was taken care of and we could truly enjoy every minute!"